Home Beauty Finding The Best Hair Extensions? Earlier this year I was on the search from some affordable but great quality hair extensions, and naturally turned to google to search for “Best Hair Extensions” only to be massively disappointed. My search showed up actual brand sites instead of reviews and advice for great quality but cheap extensions that other people had bought. Now I’m a natural sceptic, I like to have everyday unbiased people tell me the products that have worked for them rather than hair extension brands tell me why they are the best. I used to think that if you weren’t a celebrity, hair extensions normally consisted of someone with really short hair, having ridiculously long extensions put in, which were painfully obvious with that tell tale hair join line. I also believed that once they were in, they were in permanently until they were removed by a professional which would make hair styling. washing etc difficult. It was just too much like hard work and I panicked about being left balding after seeing pictures in celebrity magazines of celebs paying the price for permanent hair extensions! I’d heard about clip in hair pieces, but they seemed in principle a bit unreliable. I’d imagined on a rare night out, being halfway through throwing some shapes on an 80s club dance floor along to Oops Upside Your Head, and with that one fateful head flick, a lump of ginger hair would go flying off my head and across the floor. I would then have to do the walk of shame to collect it whilst feeling “totes morto’d”. However, I grossly misjudged just how amazing clip in hair extensions can look when you find some that are great quality and applied correctly! Before I opened my salon, I rented a nail desk in a local hairdressers. As I was working and chatting away to my clients, I would catch a glimpse of a client coming in looking just average, but leave some time later looking absolutely fantastic with the most amazing “new found” hair. 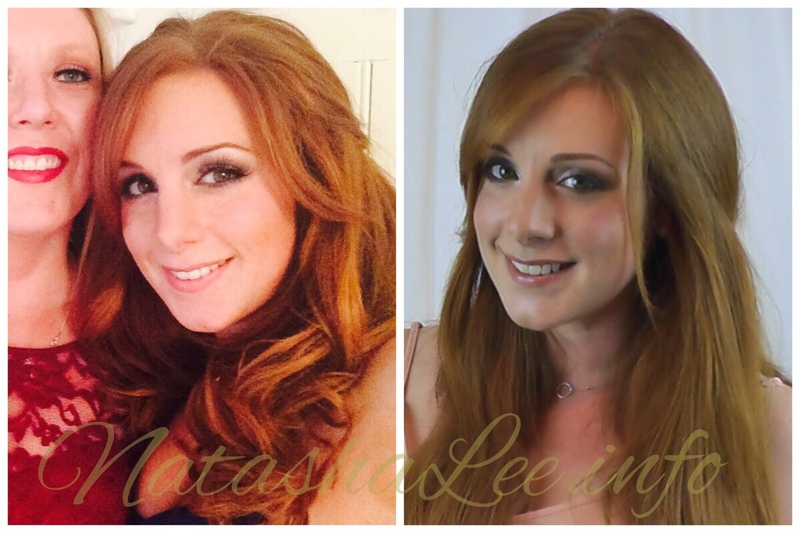 I found it fascinating just how many clients came in for for styled clip in hair extensions, and after work on a Saturday, the apprentices and stylists would style each others extensions and pop them in ready for a night out. I chatted with the stylists to find out more and they all said the same thing. The key to fantastic looking clip in hair extensions, was good quality natural (human) hair, coloured and styled to match your own. This is where it seemed to get expensive, the ones the hairdressers used were amazing, but started around the £140+ mark. I wanted some long ones significantly under £100. Choosing The Best Hair Extensions? One of my best friends Abbie Lamb, is an amazing Stylist (that’s in fact how we met as she started off as my hairdresser), so I went straight to her to ask that if I didn’t want to be paying a lot of money for clip in hair extensions, then how can I find fantastic quality human hair extensions that were cheap? She sent me this link after her cousin had purchased them online and asked Abbie to colour and style them for her. Abbie told me that whilst there is amazing (and very expensive) Remy human hair that is quite often Russian, you can find great quality Remy extensions at a much cheaper price and that these were the best hair extensions that she’d found to be great quality and affordable. This is where you have to look into things a little more. Are you wanting to make your hair thicker, longer or both? 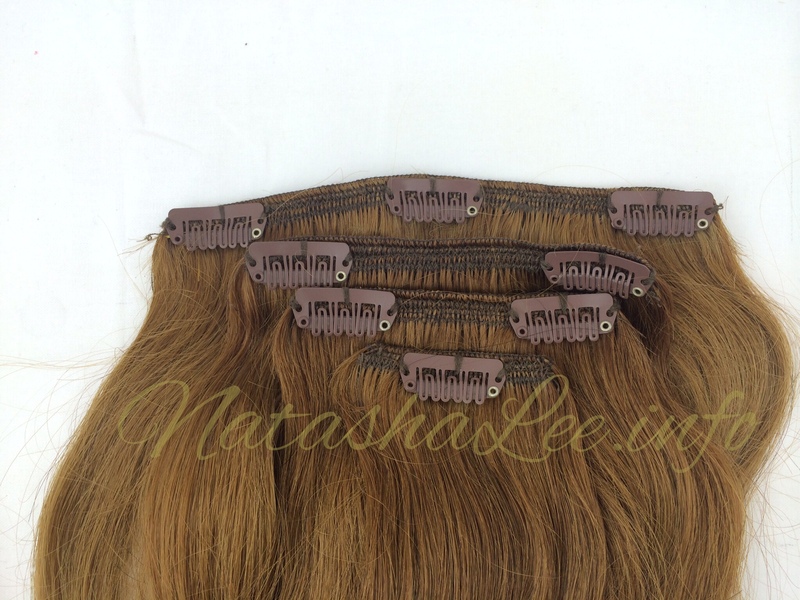 If you want longer hair, you will need a set that is a full head and ideally Double Wefted to have thick luscious looking extended locks, as opposed to nasty thin “rats tails”. My set came with 10 wefts but I’ve only ever actually used 8 maximum in my hair. A weft is basically a selection of individual hairs attached together at one end (the root end) by a seam. This seam can have clips glued or sewn to it to enable you to attach it to your hair or can be stitched on . The more clips on the weft, the wider the weft is. Remy hair, is the highest grade of natural/real human hair. 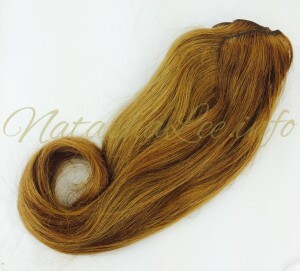 It’s chosen for good quality hair extensions and wigs because it offers the most natural appearance. What makes Remy hair special, is that the cuticles of the hair are kept intact and not stripped. When cuticle are kept intact, it means that the individual hairs remain natural in appearance and touch, and ensures that the hair remains tangle free and soft and shiny. How Long Do I Need My Extensions? Look at yourself in a long mirror, and work out where you want your extensions to come to on your body. Then take a tape measure and measure from just above your ear down to where you want your hair to fall to. Then add 2″ to that length. e.g. if when you measure you realise that you want your hair extensions to be 18″, then add on 2″ to get the length that you need to order i.e. 20″. I say to add on 2″ because to make your hair extensions look as real as possible then you will need them trimmed by a stylist. You also need to take into consideration how you want to style them i.e. if you plan on wearing them curled most of the time then take into consideration that curling will reduce the appearance of the overall length. It’s highly unlikely that you are going to be able to find EXACTLY your hair colour in an extension but that’s no problem at all. Try to find a colour as close to yours as possible, and if there are 2 that you are unsure of and one is darker than your natural colour and the other lighter, then pick the lighter one. This will make it easier for a stylist to use a semi permanent colour on it to produce a perfect match for your hair colour. I chose a light brown for my extensions. Abbie colours my hair with a semi permanent colour to alter the tone of red I want depending on the season, but essentially I do have naturally auburn hair. Once my extensions arrived, I was due to colour my hair again, so Abbie coloured both my hair and my extensions so the match was perfect. I recommend colouring your hair and extensions at a similar time, so that as your hair fades, so do your extensions. Although they are not washed as often, hair extensions do not tend to hold the colour as well as your own hair so you can continue wearing them without a difference being noticeable. 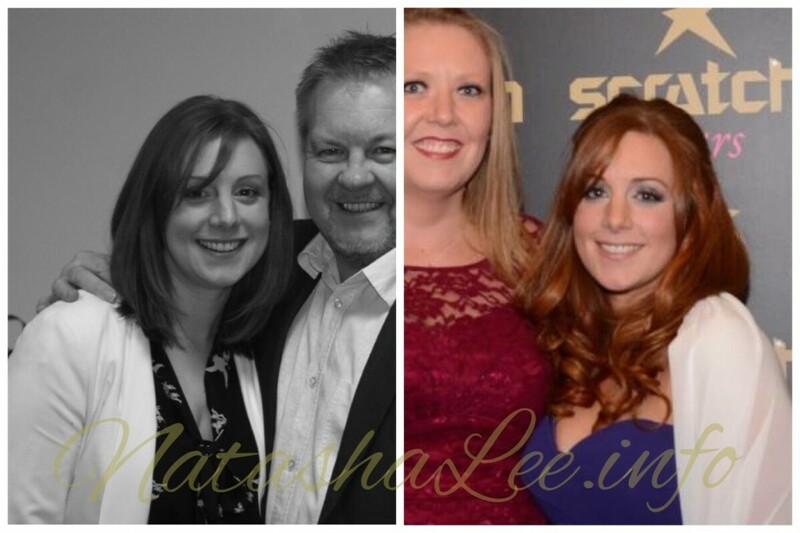 The picture below perfectly demonstrates this with the picture on the left being taken just after my hair and extensions were freshly coloured, and the picture on the right being them now, 4 months after both my hair and my extensions were coloured.